Marigolds, in bright colors of yellow, orange and red, can provide interest to your home gardening space, thriving in a variety of places from pots to flower beds. Marigolds are susceptible to a number of problems that leave them wilted. Give marigolds the care they need and examine your plants regularly to catch problems early before they cause extreme damage. When purchasing marigolds, check to see that they are healthy and free of wilt damage. Grow healthy marigolds by providing the consistent care they need. Healthy marigolds fare much better in terms of avoiding and recuperating from disease than unhealthy plants. Place marigolds in areas of your landscape that provide full sunlight, as light exposure promotes good growth and color development. 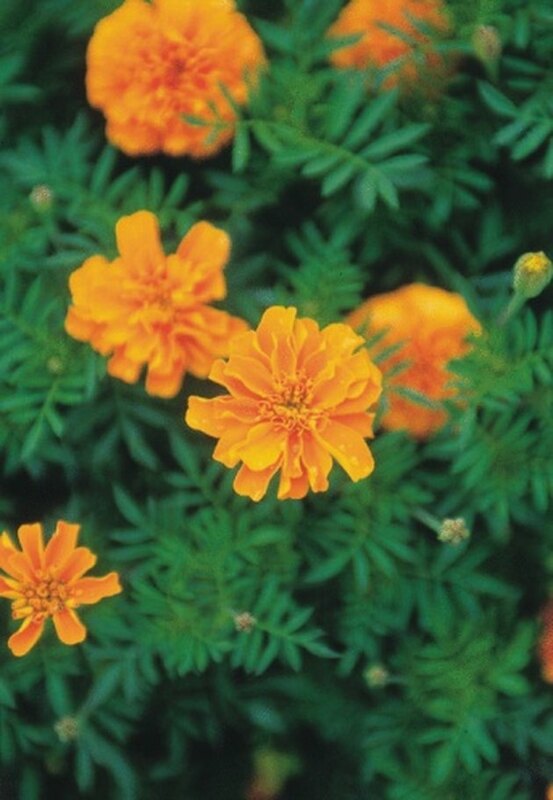 Grow marigold plants in moist, well-drained soil with a substantial amount of organic content like pine bark. Both as annuals and perennials, these flowering plants are fond of irrigation, so check soil regularly and water to maintain moist conditions. Avoid overhead irrigation, which encourages fungal disease and weighs plants down. If your marigolds are wilting, the culprit is likely one of two diseases. Verticillium wilt is a fungal disease that results in the wilting of leaves of marigolds as well as chrysanthemums and dahlias. This problem is caused by the fungal pathogen Verticillium dahliae. A soil-borne fungus, spores can travel on both water and wind. Southern bacterial wilt can affect marigolds as well as hydrangeas and hollyhocks. Caused by the bacterium Pseudomonas solanacearum, this disease results in wilt first on leaves, and then the entire marigold plant. A soil-borne disease, bacterial wilt spreads via infected plant cuttings and fallen plant parts. Verticillium wilt on marigolds typically begins with wilt and yellowing of foliage that shows up first between leaf veins. This disease affects the circulatory system of marigolds through which water and nutrients are transported to the parts of the plant. When this necessary function is blocked, the plant begins to die. Leaves lose their color and sometimes drop early. Marigolds can experience plant death from this wilt disease. Marigold foliage infected with southern bacterial wilt fades to a yellow to greenish gray hue. Though wilt first appears on leaves, the entire plant can wilt and die within one to two weeks. Unfortunately, no control measures can heal marigolds infected with either verticillium wilt or southern bacterial wilt. Your best option is to ensure the use of disease-free plants and soil. Always purchase plants from reliable sources, and sterilize equipment and plant pots between each use to prevent disease transmission to healthy plants. Remove and destroy affected plants as well as any fallen plant parts. What Is Eating My Marigolds? 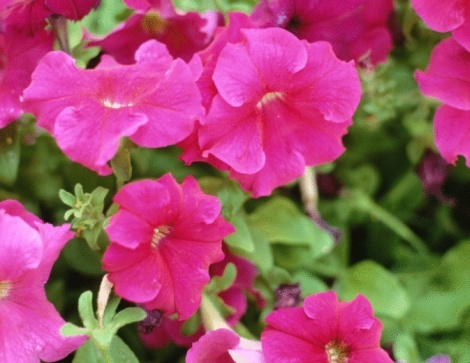 Can Petunias Be Planted With Marigolds?